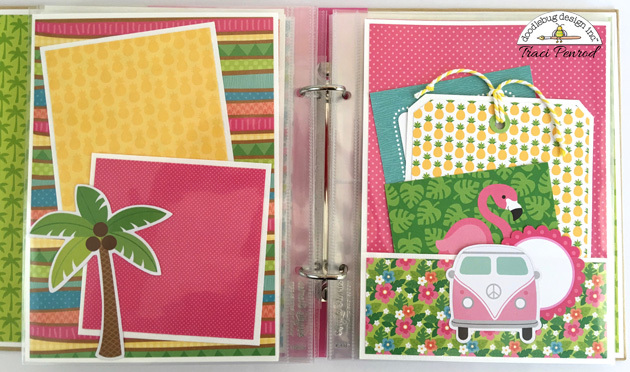 Hi everyone, it's Traci from Artsy Albums. Summer is officially here! Of course, even though my calendar says this occurred on June 20th, here in Georgia it's felt like summer for a few months now. 90+ degree days and it's only June ... yikes! But despite the heat, I'm loving the sunshine, hanging out by the pool, and digging my toes in the sand. 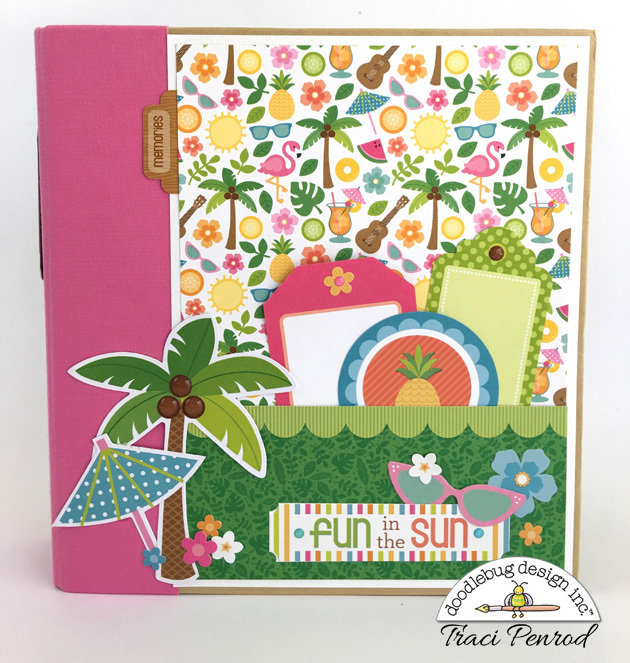 I've been taking lots of photos too, and Doodlebug's new Fun in the Sun collection will be perfect for documenting my summer memories. 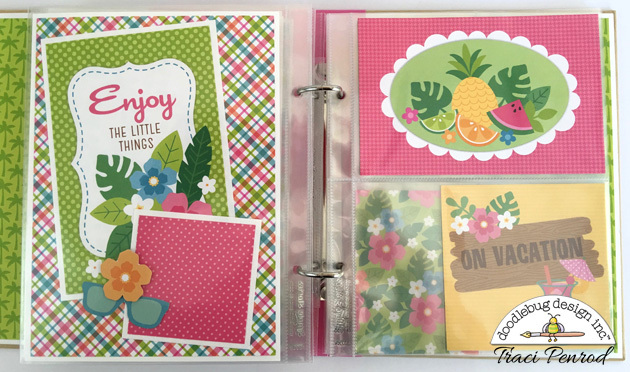 This colorful mini album came together super quick. I used a Simple Stories pink binder album and tons of Fun in the Sun papers and embellishments. 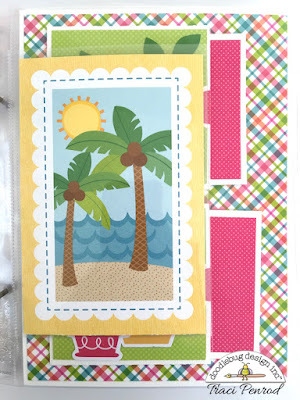 It's pretty obvious how much I LOVE the new Odds & Ends die cut pieces. There are so many in the pack. 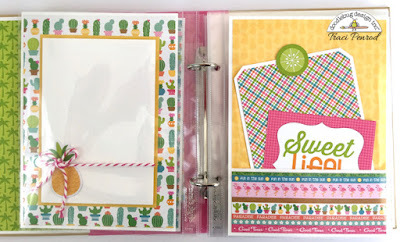 I did an entire mini album and still had some left over for another project! 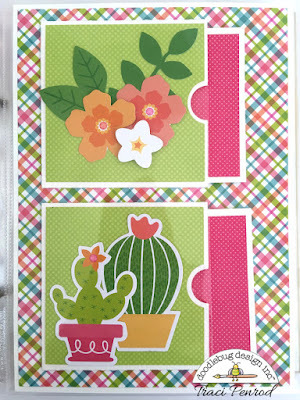 See that little cactus clip on the photo mat below? How stinking' cute is that!! No project would be complete without some chunky twine!! I love how there are 4x6 and 4x4 cut-apart cards included with each collection. I always add some of them to my divided photo sleeves. So let me know what you think? 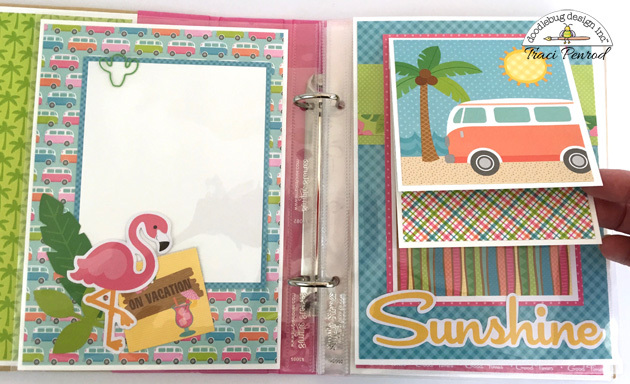 Are you ready to save your summer memories with this adorable collection? Trust me ... it just doesn't get any cuter! Super Cute! 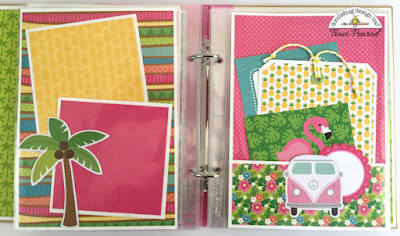 Love that pink flamingo and VW bug van! 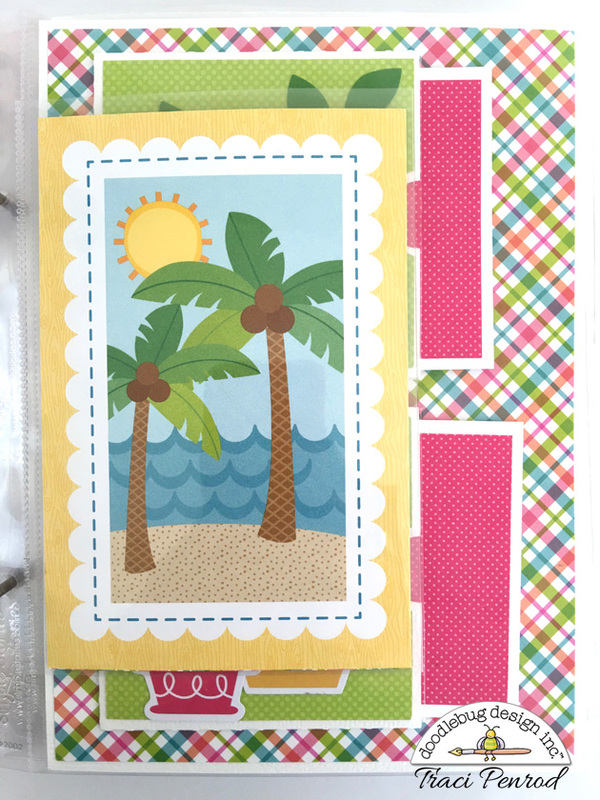 Perfect for summer memories. Traci this is fabulous!!! I love the flip pages!!! Beautiful, definitely ARTSY and just full of details that delight and make you smile!! This collection has been so well used in this fantastic project!! This is sunning! Love every detail! Your albums are always so beautiful, Tracy! Love your work! Thanks for the inspiration! Loving all the fun details in your album, Traci!!! Oh wow, this is so darling.